You must love to write, talk, and teach evidence-based medicine. You must be driven to help and educate people. You should want to be a health blogger and social media user. You must be good communicator. We provide you with four tools at TreatmentScores.com, which help you to organize the medical literature, organize statistics, and quantify the science of medicine behind treatments. Our products help you arrive at the "net treatment benefit" as an educational exercise. We are like Sabermetrics for medicine. The diagnosis can be personalized. What does the data suggest? Does taking statins extend your overall survival? Does Harvoni work for Hepatitis C? Is it better than interferon? Do vitamins extend your life? Which alternative medicines have good data behind them? Which insomnia treatments have the best data? Which cancer chemotherapy treatments have such bad data that no one should be forced to undergo them? What does the evidence say about prostate cancer treatments? What does the evidence say about breast cancer treatments? What is the data behind Angelina Jolie’s decision to undergo bilateral mastectomy? Which diets or diet pills have good data behind them? What does the data say about treating Stage IV metastatic cancer of any type? This needs to be crystal clear, but is usually a quagmire of ambiguity and fuzziness. The same lack of clarity may exist for 90% of all treatments. We believe the future of medicine is quantification and we need a great communicators via emails, phone calls, and video-conferencing. You may need to talk to philanthropists, nonprofit disease-related organizations, governments around the world, patient groups, AngelList.co users, investors, crowd-funders, and everyone else interested in better treatment transparency. Major tasks will be to 1) write blog posts about treatments for diseases using quantification, and 2) communicate with everyone. If you have previously written health-related articles please send us your URLs, CV, or resume, when you apply. This is the type of pursuit you can actually love doing, because every day you will be helping people and teaching people. This process may allow you to do what you already do, try to figure out what the medical literature actually says. You will be working with the founding physicians. Contact: Dr.Hennenfent ((at)) Gmail.com and send the appropriate URLs, CV, or resume. Register at TreatmentScores.com and read the Tutorial at http://treatmentscores.com/tutorial.php for more information. The Patient-Centered Outcomes Research (PCORI) team says, “Every day, patients and their caregivers are faced with crucial health care decisions while lacking key information that they need.” PCORI also says that we need to translate “…existing scientific research into accessible and useable formats…” Let's fix this problem. Disclaimer: Always consult your own licensed physician for treatment and diagnosis. The statistic the patient needs the most is the "net treatment benefit." Yet, the "net treatment benefit for the patient" is not a statistic seen in medical studies. The patient not only needs to know the "net treatment benefit," they need to know the ABSOLUTE net treatment benefit. The word "absolute" can be important, because patients are often given the relative benefit instead of the absolute benefit. The relative benefit can look fantastic while the absolute benefit can be near zero. The more you learn, the better off you are when it comes to your health. How Treatment Scores Work. 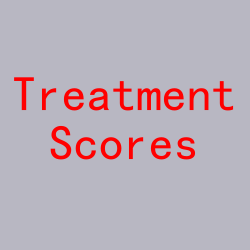 Harvoni Treatment Score = 95. "If you can't explain it simply, you don't understand it well enough." - Albert Einstein. The quotes above from two brilliant minds illustrate why we need Treatment Scores. First, Steve Jobs suggests the customer must get the information they need quickly and simply. Second, Albert Einstein suggests if you do evidence-based medicine and you can't quantify the treatments for a diagnosis based on evidence-based medicine, then you don't really understand treatments. Be skeptical! I saw a TV commercial on Harvoni as a treatment for Hepatitis C. It sounded too good to be true. I was very skeptical. So I decided to look up the medical studies and find the statistics. I was able to organize the statistics that matter the most. What I found is that the treatment statistics are better for Harvoni for hepatitis C than for the old "Gold Standard" with interferon for hepatitis C. Way better! You can summarize the treatment benefit as one number as in the graphic below (100 would be the best possible Treatment Score). What a Treatment Score of 95 means in this case is that there is a 95% cure rate (virus clearance rate) for the specific diagnosis of Hepatitis C, in the specific population studied, during the time frame studied. From now on, health information for treatments should be presented in this manner, summarized as one number. Treatment Scores do for medicine what Sabermetrics does for baseball. We enable you to digest thousands of hours of data and reading down to one number. Everything you need for complete treatment transparency! Evidence-based medicine is an educational experience that everyone should learn to do. Everyone should produce a treatment list for a disease that they care about and should attempt to quantify the treatments. That's how you really learn about the treatments for a diagnosis. In future posts, we will explain how the entire process is made transparent and how each step can be validated. If you can't quantify the evidence behind medical treatments, you don't understand medical treatments. Please register at TreatmentScores.com and visit the tutorial page to learn how to do evidence-based medicine with quantification. DISCLAIMER: Always consult your own licensed medical physician for diagnosis and treatment. We need Easy Basic Math, EBM™, more than ever. When it comes to scientific papers one could say that "every statistic is a bad statistic." One could also say that "no two statistics can be weighted equally." This is because scientific papers almost always have problems with methodology or bias. The layperson usually understands basic mathematics. The typical layperson understands addition, subtraction, multiplication, division, and percentages. These are the things that people use in their everyday lives. However, when it gets more sophisticated than that, and square roots or exponents are used for example, then when a statistic is presented on the Internet the Easy Basic Math, EBM™, should be presented behind it. That way there will be an understandable trail explaining where the statistic comes from. A visual trail that explains everything in Easy Basic Math, EBM™. Most people don't understand statistics. Instead of believing statistics, people believe the person that can explain the statistics to them. So for educational purposes, statistics need to be explained in Easy Basic Math EBM™. The way to do this on the Internet is with visualization. Any time you click on the word mean, median, or mode, because of programming, video, and visualization tools one should get the visual experience of what each statistic means. Statistics can be confusing both in wording and meaning. Do you carry in your head the formulas for the standard deviation of the mean difference, or the standard deviation of the difference? Using Easy Basic Math EBM™ every complex formula can be broken up into skeuomorphs, the old and familiar things you know and understand. Easy Basic Math EBM™ is a better way to teach statistics.